We offer eight comfortable rooms in one cozy seaside home. Seaport B&B offers waterfront accommodation in the heart of Sandspit, the gateway to Gwaii Haanas National Park Reserve and Haida Heritage Site. We're within walking distance of the Sandspit airport, grocery store, restaurants, services and tranquil beaches. Each morning we provide a hearty hot breakfast, and our staff is available much of the day to answer questions and suggest activities. Our shared common area and covered deck make for a great space to get to know other visitors by sharing stories. Staying with us and getting to know our pleasant community is the perfect way to start or end a trip to Haida Gwaii. Hot breakfasts that accommodate dietary concerns or allergies. Luggage storage. Headed on an adventure? Leave your extra luggage at Seaport B&B. Bike: We have a few bikes that are available on a first come, first serve basis. Tours of Gwaii Haanas: We own Moresby Explorers, a boat tour, kayak rental and marine transportation company. Ask us for help on exploring Gwaii Haanas - and be sure to do so well in advance to ensure availability. Each of our 8 rooms has one queen bed and one single bed. They are set up to accommodate two people (either a couple or two singles) but can also work for a family group of three. 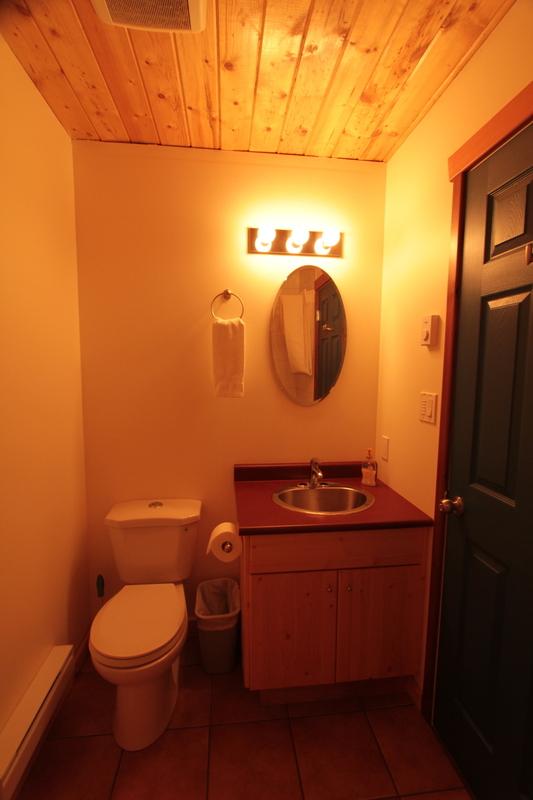 Some of the rooms share a hallway bathroom, while others have a private en-suite bathroom. All room rates include hot breakfast. 13% tax will be added. Front View Room with Private Bathroom (“Master Bedroom”): $150/night. Additional charge for a third person in the room: $15/night. We offer discounted rates for guests between October and April. During this time, we do not provide a hot breakfast, but the experience is just as special. Contact us for more information. Traveling with a group? It is possible to rent out the whole of Seaport B&B for a special event or group booking. Contact us for more information on how to do this and what it costs. Check in is at 2pm and check out is at 10am. If you arrive early, we will try to accommodate you - and you're free to use the common area at any time. You may also leave your bags in the common area while waiting for your room or flight on the day you leave. Please check in at the Seaport B&B located at 371 Beach Road, a 10 minute walk from the airport. To get to the Seaport B&B from the airport, just walk down the main road along the water (there is only one major road through Sandspit so it’s easy to find!). You will pass the grocery store and a large fenced yard, and then you will see the sign for Moresby Explorers. The Seaport B&B is 3 doors further, with a sign out front. If you require a ride from the airport, you can arrange a ride with the Sandspit Community Shuttle, but please note that you must book in advance as they do not operate as an on call taxi service. If our B&B staff are not around for some reason (or if you arrive late in the day), there may be a check in note for you inside on the counter.